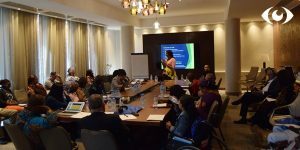 Members of the Publish What You Pay movement, comprising campaigners, activists, advocacy organizations, and development experts from all over the world, converged at its tri- annual Global Assembly held in Dakar, Senegal from 29-31 January 2019. The Publish What You Pay Global Assembly 2019 (PWYPGA19) kicked off with opening statements by senior government officials in Senegal. A representative of the Justice Minister harped on the need to increase transparency in the management of extractives. In this connection, he flagged the the Africa Mining Vision (AMV) as a strategic framework for efficient resource governance in the African context. Hence, advocates need to make the AMV an advocacy tool that can be used to enforce accountable management of resources in the African continent. Another important point highlighted is the central role of citizen participation in bolstering transparency and accountability in the extractive sector. Citizen participation is hampered by shrinking civic space across the globe, particularly targeted at activists and advocates engaging the extractive sector and demanding for fiscal justice. For example, a PWYP activist from Niger was arrested and detained for a prolonged period in connection with the campaign for fiscal accountability. The Senegalese Justice Minister influenced his release from prison. Ostensibly acknowledging the intensity of the clampdown on activists, the representative of the Senegalese Prime Minister, in his brief remarks, reiterated that it takes more than rhetoric to overcome the dangers of advocacy. The keynote address delivered by Nigeria’s former minister of Solid Minerals, Ms. Oby Ezekwesili harped on the central role of active citizenship in actualizing the struggle for transparent and accountable leadership. Along this line, the campaign for the Office of the Citizen, spearheaded by Mrs. Ezekwesili, aimed to address the alienation of citizens from the solutions to the problems that they face in Nigeria. It seeks to interrogate the question: ‘why are people weak in the face of inherent power that democracy confers on them?’ She argued that citizens cannot outsource their enormous power to civil society organizations. People must be made to work their power. One way to activate strong citizenship and overturn the powerlessness of the people is through incentive-based engagement. This type of engagement empowers and equips citizens with new tools to demand accountability from state actors. 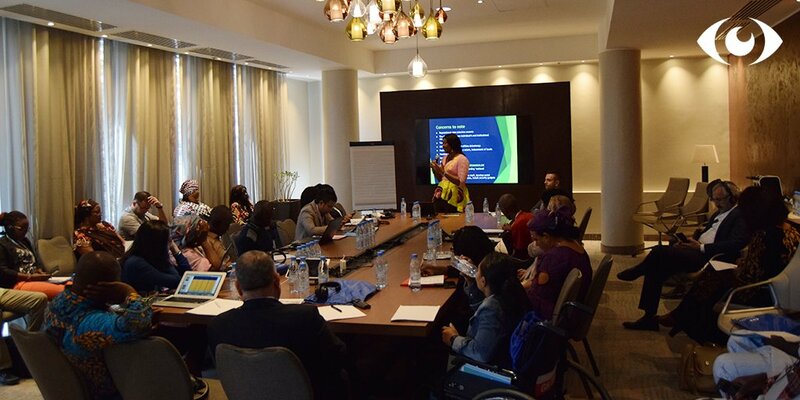 PWYP’s Elisa Peters presented the strategic plan, tagged a people-centered agenda for the extractive sector. The vision paper, developed with contributions from hundreds of their members, outlines four major goals: inform, influence, heard and connected. All four strategic goals for 2020-2025 are interrelated targets for defending and extending transparency and for increasing civic participation in natural resource governance. Ultimately, citizens empowered with more information are enabled to become a strong voice in initiatives such as Open Government Partnership and the EITI, resulting in citizen-led reforms and reviews of government policy. All of these goals are realizable if the PWYP coalition is effective and inclusive, working through collective action to make the oil gas and mining sectors open, accountable and responsible to all people. The panel sessions that followed the opening ceremony featured robust conversations around some of the achievements of the transparency and accountability movement to promote revenue transparency, the right to information, tax and gender justice and contract transparency in the extractive sector. The panelists in the first talk show comprised of representatives of leading international campaign groups from Kenya, India, United States of America and a director of Extractive Industries Transparency Initiative, Mark Robinson. The second talk-show focused on citizen participation and power. This panel discussed how to ensure greater participation of citizens in the extractive sector, both in terms of decision-making and the sharing of benefits. The panelists, comprising development experts from Equatorial Guinea, Bosnia, Mali and Senegal, also delved into strategies for harnessing collective power to respond to shrinking civic space and protect each other. One topic that dominated discussions in most of the panel discussions relates to closing civic space for activists working on extractives in particular. The issue echoed strongly in the second panel discussion on the first day, plus the various training and experience-sharing sessions across the four meeting rooms on the event’s second day. One afternoon panel held a dedicated conversation discussing how PWYP activists around the world are pushing back and providing solidarity to members. The new strategy under the 2020 -2025 vision paper talks about strengthening civic participation and access to information. For organizations in Niger, for example, their biggest challenge is getting access to information. And without information, the task of demanding accountability and revenue transparency is made more difficult. Related to access to information is the language used in expressing data which is not easily understood by laymen and people living in communities affected by extractive activity. So, how have organizations been confronting these challenges, and pushing back against governmental restrictions? What are the strategies for resistance and opposition? Social media is one of the tools organizations are using to push back, to get heard, to amplify messages, mobilize for street action and launch cross-border campaigns. At the session on social media for extractive advocacy, SPACES FOR CHANGE shared its experiences regarding how it started as a Facebook group facilitating public conversations around oil and gas reforms in Nigeria. The online movement that started as a passion for blogging about energy sector reforms in Nigeria has now metamorphosed into a leading advocacy organization, engaging and mobilizing the participation of a broad spectrum of stakeholders in oil policy reforms processes in Nigeria. While sharing the experience of the organization’s transition from online to offline campaigning interventions, SPACES FOR CHANGE’s Victoria Ibezim-Ohaeri also highlighted the highs and lows of using the social media for extractive justice. To maximize the use of social media to influence change in the extractive sector, activists and organizations must set certain advocacy priorities and goals; define their target audience and expectations; determine the communication tools and strategies to use, and so forth. While using social media has many attendant benefits, there are some important concerns that advocates must take note of, as well. They include reputational risks, the time consuming nature of online engagements, the online-offline dichotomy, pushback from corporations, and the inducement of local people. Others are the spread of fake news, hacking and cloning of social media accounts, calumny, shaming and the increasing crackdown on the civic space. Records show that the trend is deeply-worrying. In 2017, SPACES FOR CHANGE launched a database of over 150 incidences of closing spaces tracked in Nigeria alone between 2015 – 2018. PWYPGA19 was supported by Embassy of Switzerland, Ford Foundation, Open Society Initiatives for West Africa (OSIWA), Oxfam, Embassy of Canada, among others.